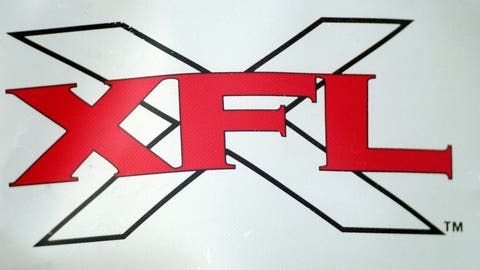 The XFL: No rules, just fights. 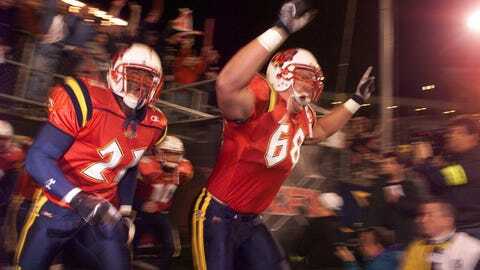 On Thursday, ESPN announced it would be releasing a 30 For 30 on the XFL in February of 2017. 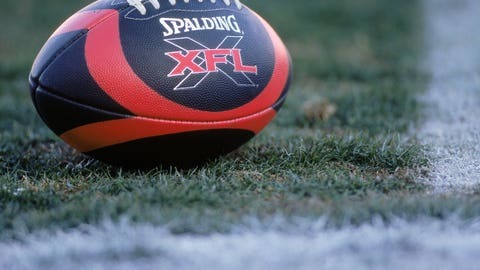 For those of you who turned on a TV in the early 2000s, you might remember the "Xtreme Football League"— a glorious cluster-shelling of mediocre football and fans fighting in the stands, brought to you courtesty of the WWF. 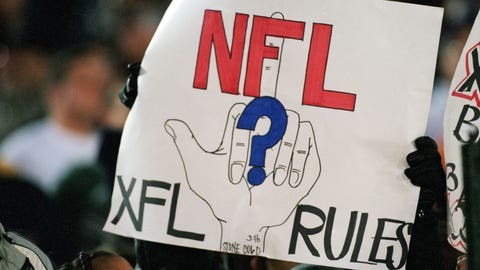 It was, in essence, an attempt by Vince McMahon to deregulate the stuffy No Fun League and capitalize on America's favorite sport by spicing it up with what people really wanted: NFL Blitz, but real. 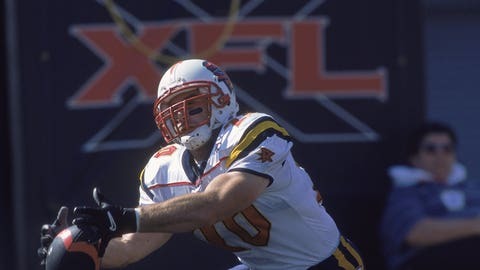 It didn't last long, but the XFL gave us a few things we'll never forget, the most enduring being the absurd nicknames stamped on the back on players' jerseys. 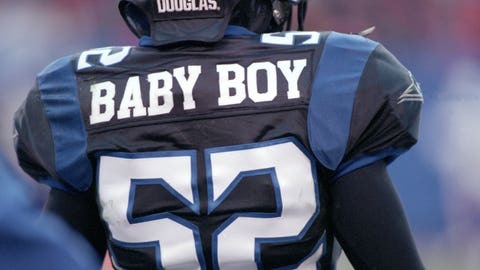 The following is the definitive ranking of the best 25 nicknames from the XFL, along with an assessment of what the name sounds like it represents. 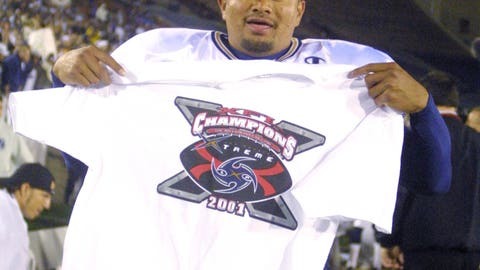 **Images are not necessarily of the player in question, just amazing images of the XFL in general**. 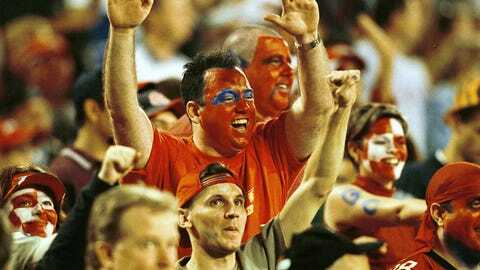 Sounds Like: Russell Crowe’s failed attempt to join the XFL unnoticed. Sounds Like: The file you downloaded on Limewire that was supposed to be new Dr. Dre. Sounds Like: The Good Book if I ever heard it. 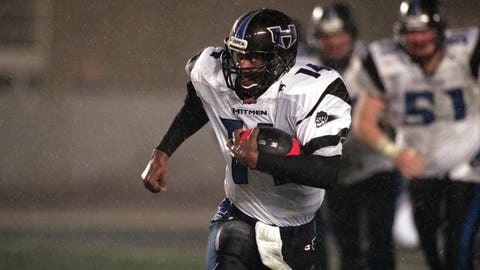 Sounds Like: Kenny Anderson had a desperate month or two there. 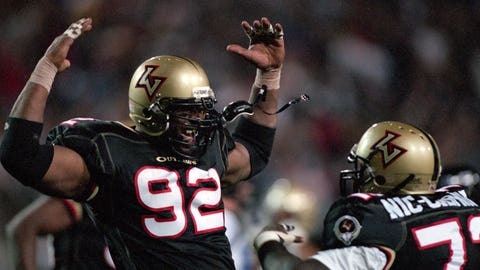 Sounds Like: The founder of a popular American burger chain that rose and fell in the ‘90s due to board of health infractions exposed by two well-meaning knuckleheads. Sounds Like: Some people at Barstool need to investigate. Sounds Like: The guy who think he’s such a “good time” he advertises it in Sharpie in the bathroom stall. Sounds Like: The vitamin packets that you make due with in lieu health insurance. 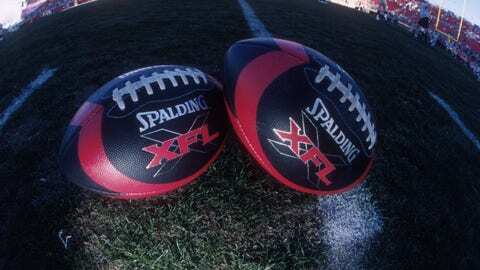 Sounds Like: The best past experience you can have on your CV when trying out for the XFL. Sounds Like: Call of Duty expansion map with only grenade launchers. Drake’s attention at P.F. Chang’s. Sounds Like: A day that will live in infamy/the hottest seller at Hampsterdam’s Black Friday sale. Sounds Like: A new way millennials can bankrupt you online? More at ten. Sounds Like: Paul Pierce has grounds for copyright infringement. Sounds Like: A now-defunct Murder Inc. boy band and/or the coolest-looking team at the 3-on-3 basketball tournament. Sounds Like: A large version of the automobile your aunt drove after trading in the LeBaron. Smelled weird, but had some get-up-and-go. Sounds Like: A four-armed Norse god you can unlock in Mortal Kombat if you hit the volcano just right. Sounds Like: He had to be kicked into chicken wire three times by Patrick Swayze before the producers of Road House got the shot right. Sounds Like: Birdman trying to get Drake’s attention at P.F. Chang’s. Sounds Like: An exotic and lethal man who is not the licensed medical professional he claims to be. 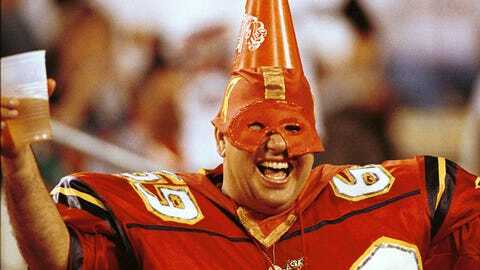 Sounds Like: The next D-List DC Comics hero to get his own gritty reboot. 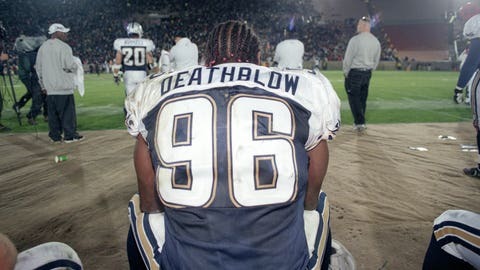 Sounds Like: Ron White has a friend for life. Sounds Like: The smelliest group on the Oregon Trail. Sounds Like: An intimate move you’ll never try again after that one Valentine’s Day. 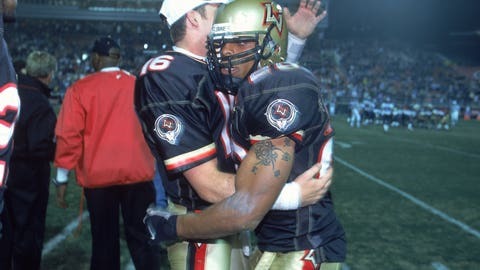 Player: Rod Smart, RB — New York/New Jersey Hitmen. Dan is on Twitter. 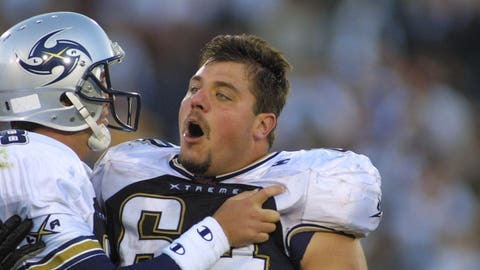 His XFL nickname is "Da Most Uncrustable."